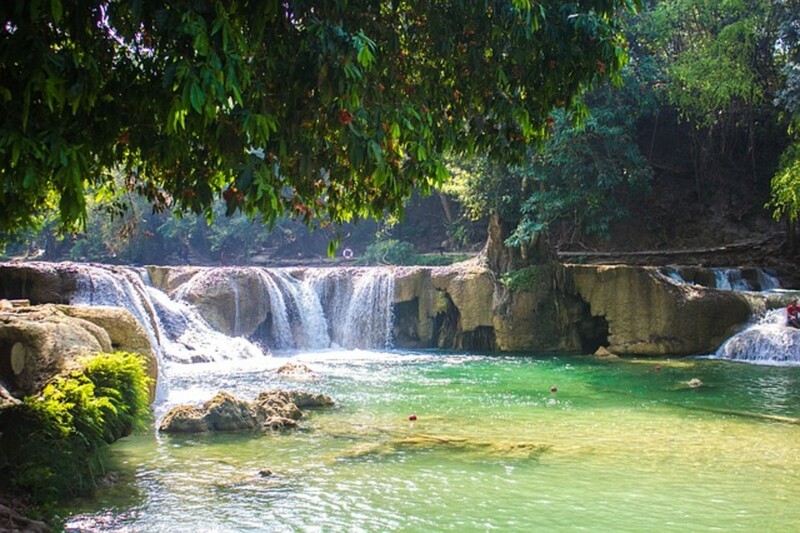 The literal translation of "Feng Shui" means "Wind Water." Feng Shui is a Chinese mystic practice that combines geomancy (a form of earth divination) and ancient Chinese astronomy. 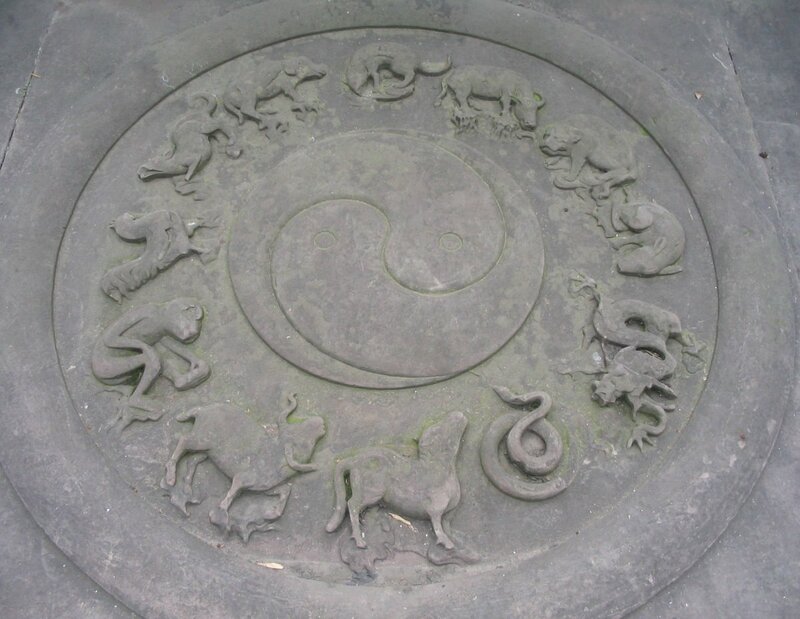 The Chinese were one of the earliest and most accurate cultures to observe the heavens, and they used that celestial knowledge for both academic and spiritual purposes (like Feng Shui). In simpler terms, Feng Shui is the ancient Chinese art of arrangement. The goal of Feng Shui is to facilitate harmony and balance in one's life through the placement and orientation of objects and structures within one's physical space.1 A user of Feng Shui believes that through harmonious arrangement of his surroundings and auspicious placement of certain objects, he can attract his desires (such as wealth, love, professional success, health, etc) into his life. Feng Shui works on the principle that everything contains its own natural energy, known as Chi. Chi exists in two types: passive (Yin) and active (Yang).2 Those two types seek to be in perfect balance with one another, and when they achieve that balance, life is full of harmony, happiness, and good fortune. 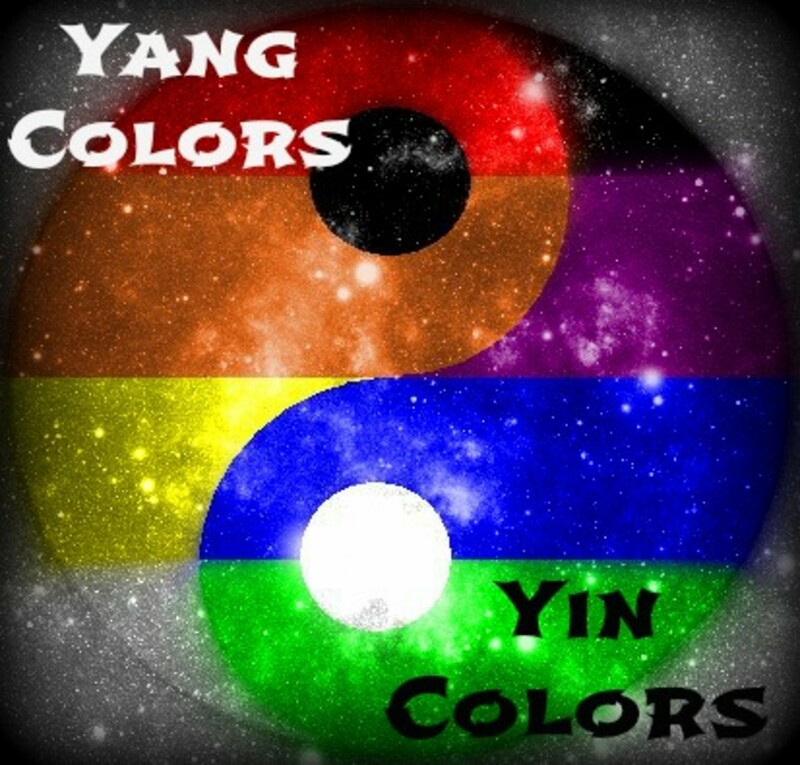 Before I discuss individual lucky objects, it is important to mention the role that color plays in Feng Shui. Each color is associated with a different energy type and carries its own particular meaning.3 Therefore, the color of your lucky object may affect, change, or add additional depth to its meaning. 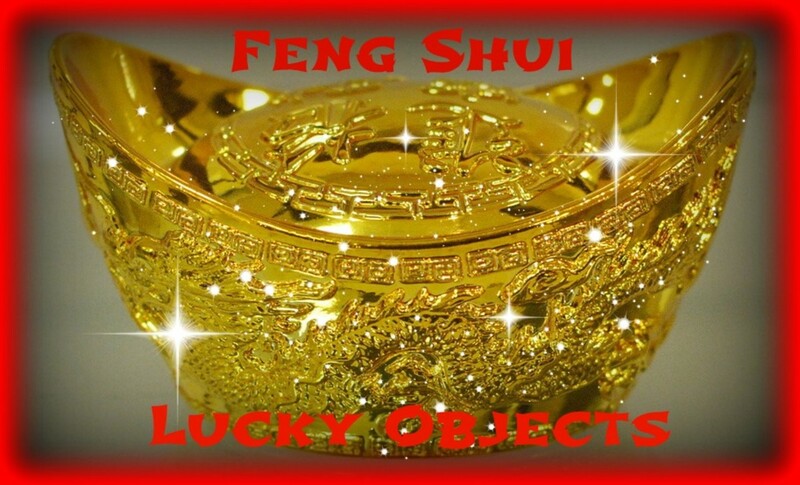 Below you'll find a list of some lucky objects that can be fun to use in Feng Shui décor or just as lucky charms for beginners to Feng Shui. For lucky objects that come in different colors and color schemes, keep in mind the different color meanings in order to gain the desired benefit from your lucky objects. Lucky bamboo symbolizes long-term good fortune, growth, and healing. Lucky bamboo is a live plant, but it is not really bamboo. It is actually a member of the orchid family (Dracaena braunii). It is very easy to care for and requires little sunlight, making it an ideal plant for cubicles and other spaces that receive little natural light. I own a lucky bamboo myself, I love it! They are almost impossible to kill, they don't need any fertilizers, and they aren't susceptible to many plant parasites or diseases. They are also very slow-growing. Mine has flourished for several years in a vase with nothing but pebbles and 3 inches of water (don't let the water dry up, though!). 2 Stalks: Love and romance. 3 Stalks: Happiness, wealth, and longevity. 5 Stalks: Life's 5 sources of wealth (emotion, intuition, mind, body, spirit). 8 Stalks: Growth, improvement, and fertility. 10 Stalks: Completion, perfection, and contentment. 21 Stalks: Very powerful well-wishing blessing for yourself and your family. This number of stalks is usually given as a gift. 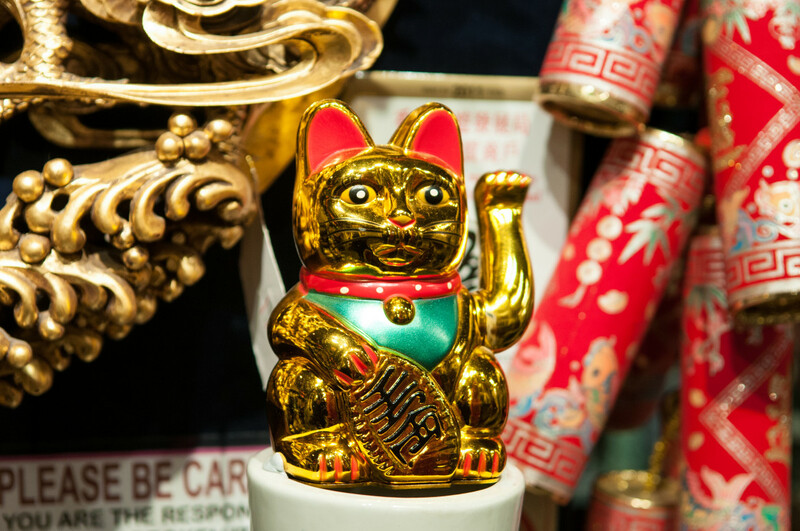 The lucky cat symbolizes money, wealth, and financial prosperity. His upraised paw also offers protection. 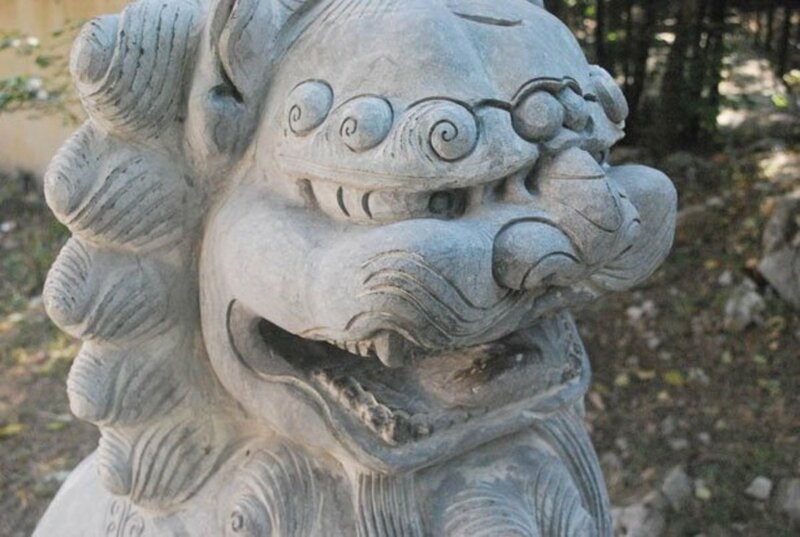 Despite being one of the most prevalent symbols of Chinese tourism, the lucky cat actually originated in Japan. In Japanese, the cat with one raised paw is known as the Maneki Neko or "beckoning cat" because he is believed to beckon wealth and good fortune into your life. Despite his Japanese origins, the Maneki Neko has indeed become an object commonly used in Feng Shui. He is usually displayed in offices, shops, and other places of public business, rather than in the home, so that he can beckon new clients and financial opportunities. The lucky cat may come in many different colors, though white and gold are the most common. 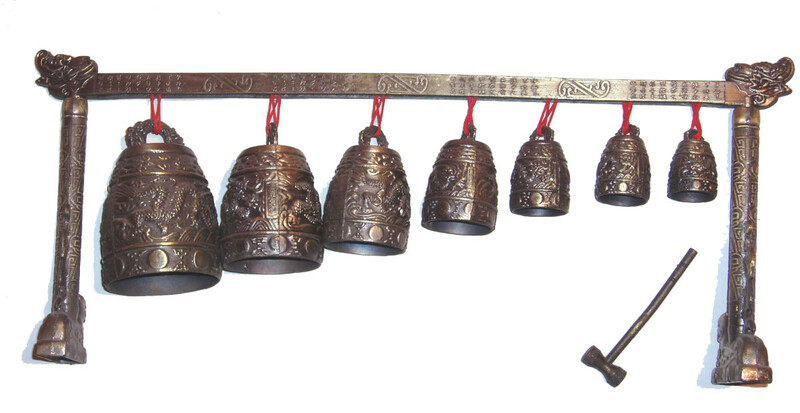 Bells symbolize cleansing, purification, and protection. 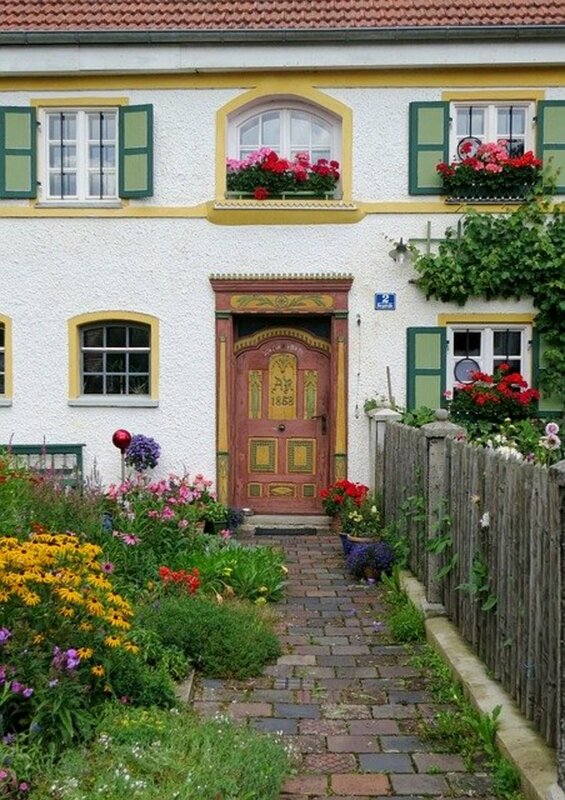 In Feng Shui, your front door is the energy gateway to your home. For this reason, bells are often hung on door knobs and shop entrances. The ringing of the bell is believed to be purifying, to drive away negative influences, and to invite prosperity in. Crystals play a variety of different roles in Feng Shui and can have many different meanings. Clear, faceted man-made crystals in the shape of a sphere or a water drop are often hung (usually from a red string) in sunlit windows where they sparkle and fill the room with positive energy. They are also hung in long hallways and dark corners to help diffuse the stagnant energy that gathers in such areas. Gemstone crystals are also used in Feng Shui, and each gemstone has its own particular meaning and properties. Rose Quartz: Love, romance, and passion. Amethyst: Family harmony, knowledge and wisdom, calmness. Jade: Harmony, balance, and luck. Tiger's Eye: Protection and cleansing. Ammonite: Circulation of stagnant energy, stability. Clear Quartz: Cleansing and purification. The Mystic Knot attracts a long life full of happiness and good fortune. It is usually found in red. This symbol originated in the folk craft of Chinese knotwork, which began in the Tang Dynasty over 1,000 years ago. It represents the Buddhist cycle of death and rebirth and includes the infinity symbol in its pattern, repeated 6 times for luck. The Infinity Knot pattern is frequently represented outside of knotwork as a carved or painted design. It is believed to benefit every aspect of a person's life, so it is often found in jewelry, key chains, car charms, and other portable items as well as on pottery, wind chimes, and other home décor items. The pagoda is a symbol of the mind and spirit. It is used to trap bad spirits and energy and to help one keep an ordered and stable mind. Most pogodas were structures originally built for religious and devotional purposes and were typically associated with Taoist and Buddhist worship. Feng Shui pagoda statues are representations of those buildings and come in 5, 7, or 9 tiers, each with its own meaning. 5 Tier Pagoda: Symbolizes the 5 elements and protects the 5 directions. This pagoda will bring protection and help to improve fortune and luck. 7 Tier Pagoda: Symbolizes the 7 treasures of Buddhism. This pagoda brings wealth and career success. 9 Tier Pagoda: Symbolizes wholeness, perfection, and stability. This pagoda is great for studying and career success. It also suppresses bad luck. Pagoda statues are often placed on the desks of students for study luck and on the office desk for career luck. Feng Shui coins are used to invite wealth and bring good luck. 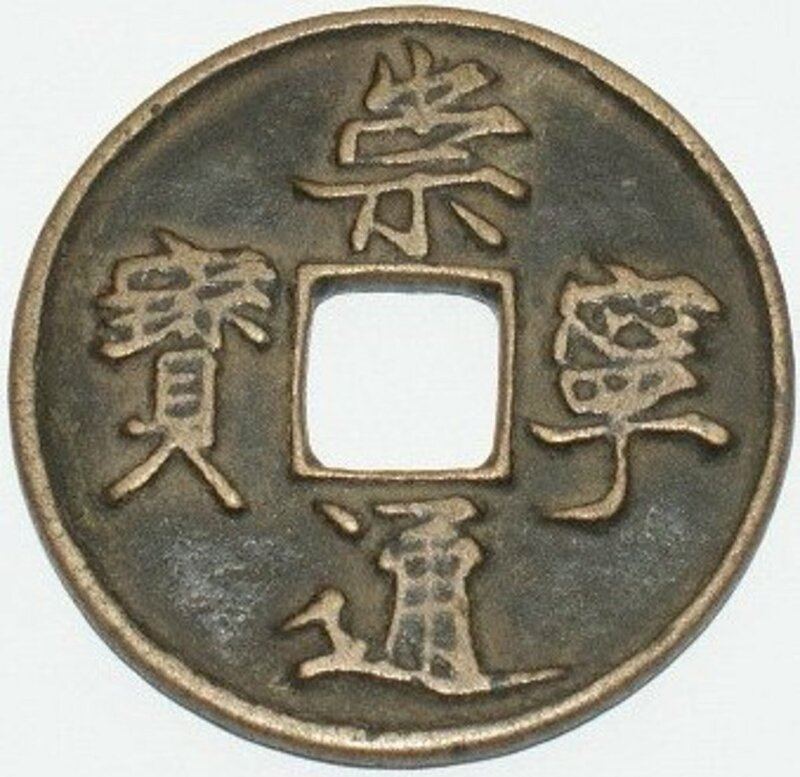 Lucky coins are usually Chinese coins with a square hole cut in the center. These coins are part of the Chinese New Year tradition and are frequently braided together with a red string and hung to attract wealth in the new year. Lucky coins can also be used at any time of the year to attract wealth and can be placed just about anywhere including in your wallet, under your pillow, next to the door or cash register of your shop, beside your personal financial papers, etc. You can also group your coins together in certain meaningful numbers for a particular effect. 2 Coins: Money will come easily. 3 Coins: Money will always be replenished. 6 Coins: Money will roll in. 7 Coins: Certainty of wealth in your life. Wind chimes are used to purify and dispel bad and stagnant energy and to invite good news and get positive energy flowing. 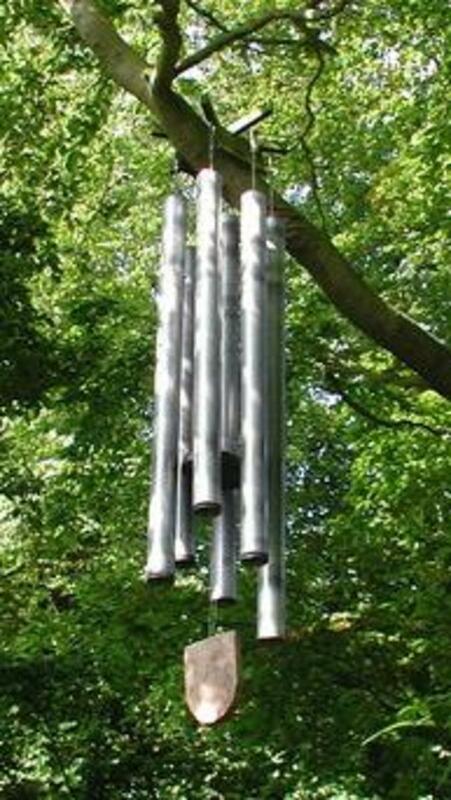 Wind chimes are typically used outside the home on porches, eaves, decks, patios, and gardens where the wind will produce pleasant sounds from the chime's movement. They can also be used indoors effectively, but you will miss out on the relaxing and purifying sounds that way. As a general rule, wind chimes with hollow rods will energize an area and chimes with solid rods will suppress Chi. Also, pay attention to the materials of your wind chimes according to the directions they face. East: Wooden or bamboo chimes. South: Wood, metal, or bamboo chimes. Bagua mirrors are used as deflectors of strong negative energy. 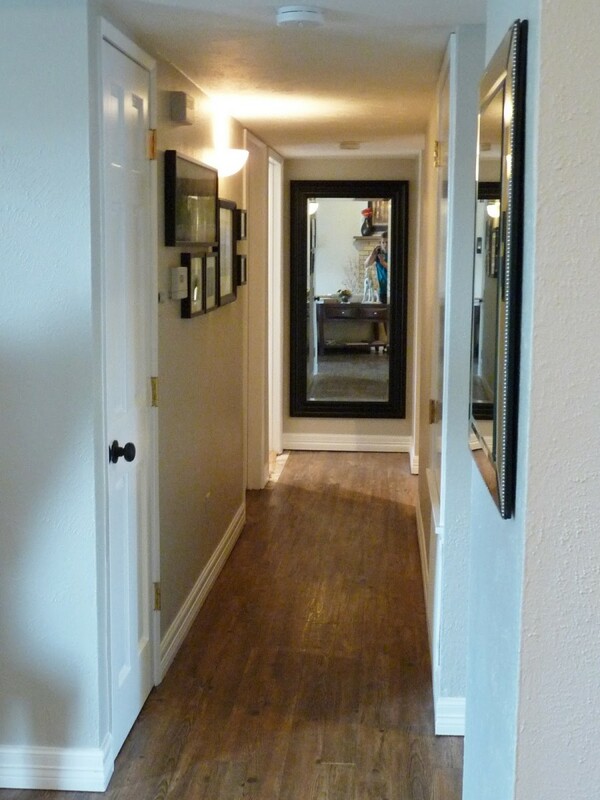 Bagua mirrors should not be placed inside the home. They promote good Feng Shui only on the outside of a home or business. 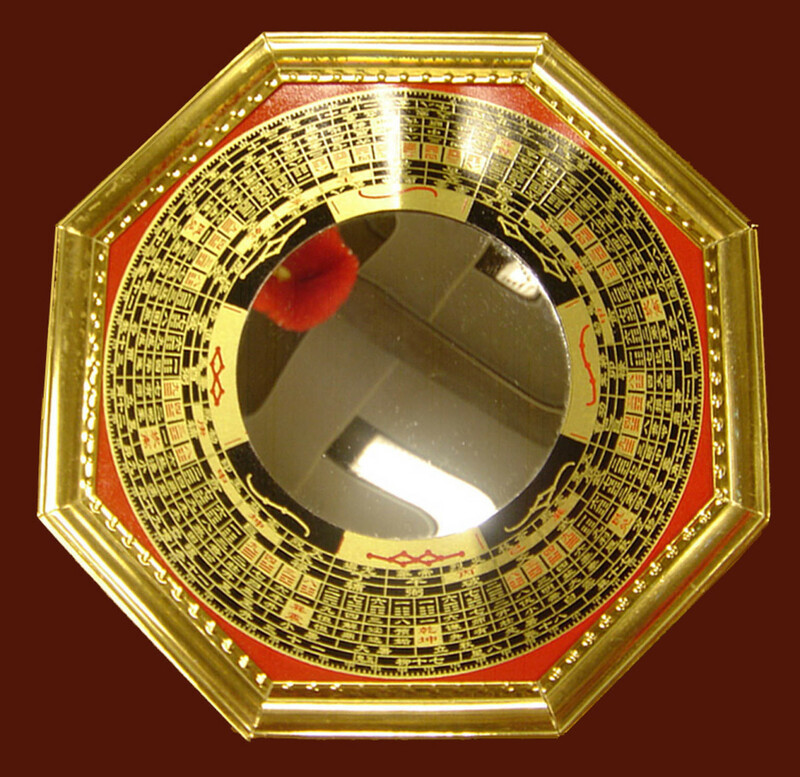 Since they are deflectors of negativity, the Bagua mirror can be placed facing a direction of bad neighbors, structures that direct bad Chi at your home or workplace, etc. Dzi beads are a popular Feng Shui symbol of protection and good fortune for every aspect of one's life. Dzi beads were originally made in Tibet out of agate stone. They are usually worn as amulets but can also be placed in the home. They serve as powerful protection and health charms. 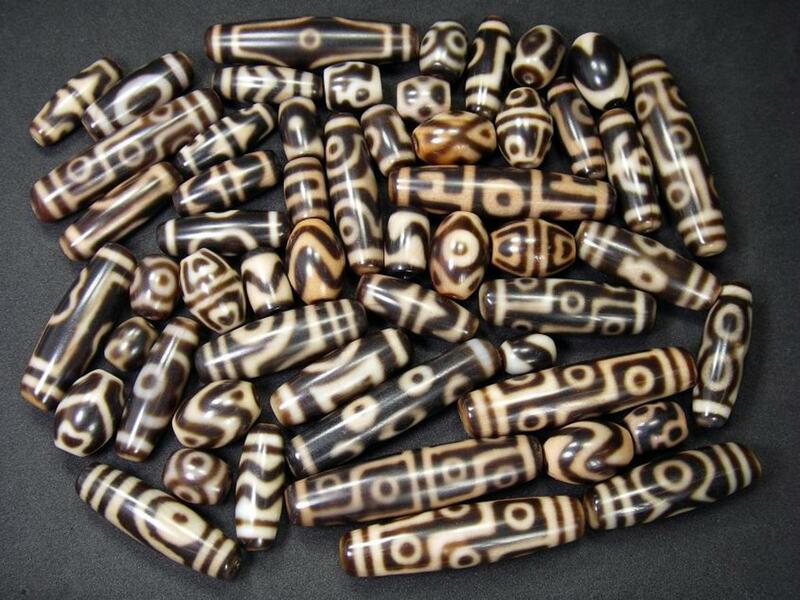 The circular patterns on Dzi beads are known as "eyes," and the number of eyes on a particular Dzi bead gives it additional meaning. 10 Eyes: Removes career and relationship obstacles. 11 Eyes: Dispels one's evil intentions. 13 Eyes: Connection to one's ancestors. 14 Eyes: Clears the mind. 15 Eyes: Wisdom, protection from suffering. 16 Eyes: Humor, joy, playfulness. 18 Eyes: Protects against addictions and compulsions. 19 Eyes: Fulfillment of life's needs. 20 Eyes: Purification, preparation for rebirth. 21 Eyes: Materializes your desire, contains elements of all other beads. 1 Eye: Hope, wisdom, and happiness. 2 Eyes: Marital harmony, happy family, successful career, good friendships. 3 Eyes: Happiness, honor, and longevity. 4 Eyes: Purification, overcoming negativity. 5 Eyes: Magic, attainment of all desires. 6 Eyes: Removes sadness and suffering. 7 Eyes: Fame, glory, career success, wealth. 8 Eyes: Guards against calamity and disaster. 9 Eyes: Wealth, health, power, protection. The horseshoe symbolizes good luck and protection. 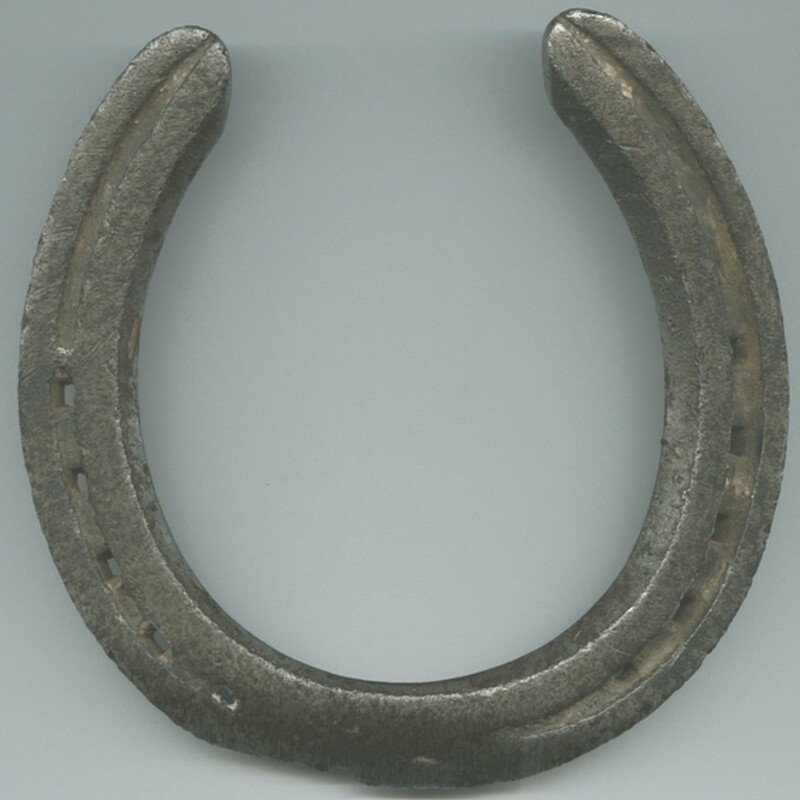 The horseshoe is a powerful good luck symbol that should be placed above the front door. Be sure to fix the shoe with the ends facing upward in a U shape so that the horseshoe acts as a container for collecting good luck. If you place the horseshoe upside down, your luck may run out. It is best to use an old or worn horseshoe placed above a wooden door. Which lucky object has worked best in YOUR life? Dr. Kale, Rekhaa. Easy Guide to Feng Shui. Fusion Books: New Delhi. 2005. Keller, Debra. Feng Shui. Andrews McMeel Publishing: Kansas City. 2003. Too, Lillian. 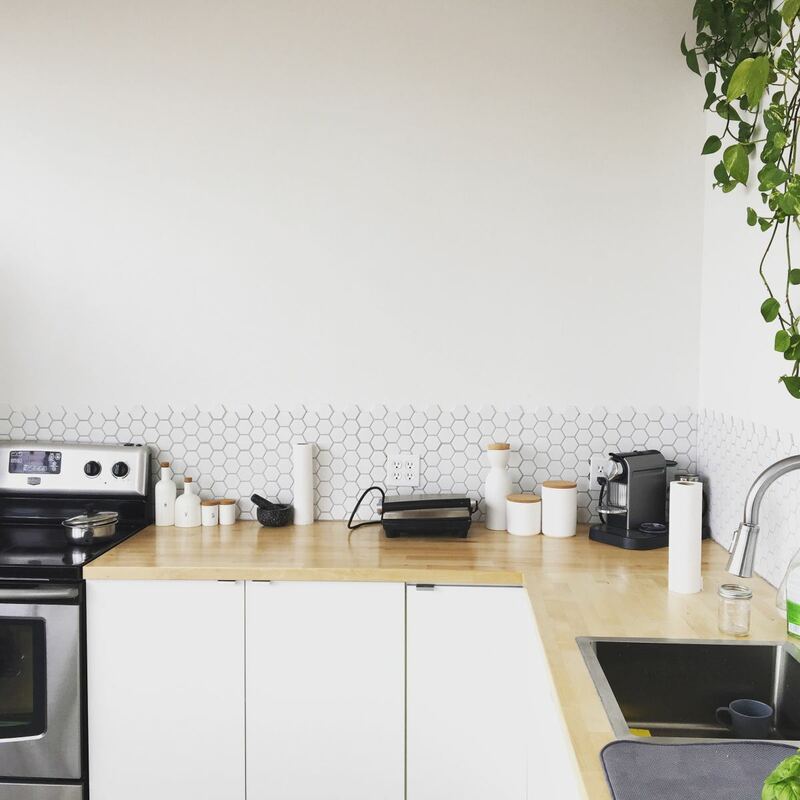 Lillian Too’s Smart Feng Shui For The Home. Dr. Ford, Debra. In the Feng Shui Zone: Good Health, Great Relationships, Abundant Prosperity. Energy Mountain Inc: Calgary. 2007.
thank you very much , for your help with all the article , keep up with your great work , feng shui. Hi Sharon, 4 is generally considered an unlucky number in Feng Shui and Chinese culture in general, which is why you will not find many items in Feng Shui intentionally grouped in 4s. Neat, it sounds like you are a real expert! I love Feng Shui, and have taken advanced courses in it. I have also done some Feng Shui consulting. I am glad you took the time to write a hub on it! Voted up! Cool hub! I recently gotten interested in feng sui, right before I moved last fall. I just need something for my money wall. Any ideas? I do have my mother's wind chimes outside my bedroom patio door. I love to hear it chime every night. I love this! 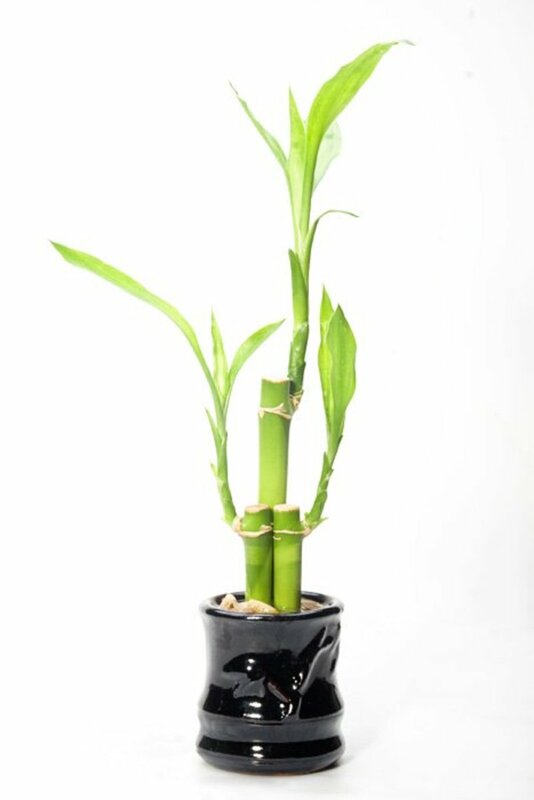 Can't wait to get a bamboo plant. Sounds perfect for me (with no green thumb). Thanks! 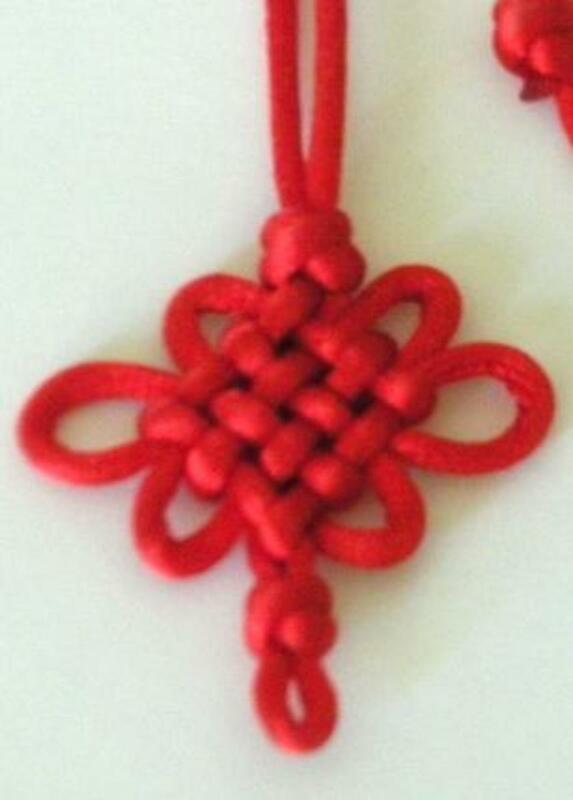 "The Chinese Mystic Knot is also known as the Pan Chang Knot. It represents the endless cycle of nature." Very useful and informative article. I appreciate your efforts to spread the message of Feng Shui. All will love it and if they apply it correctly, they can improve and gain good luck. Thank you for sharing. Keep on writing. All the best. Very informative hub, Christy! I thoroughly enjoyed reading this. I was looking for an article like this as I want to add some Feng Shui lucky objects to the home and this Hub is perfect! I will definitely be adding these lucky objects soon. I am already harnessing the power of crystals and I would love to get some coins and try those. Feng Shui is such a mystical practice and I love its history and origins. Thanks for this! Voted up +++ and shared. 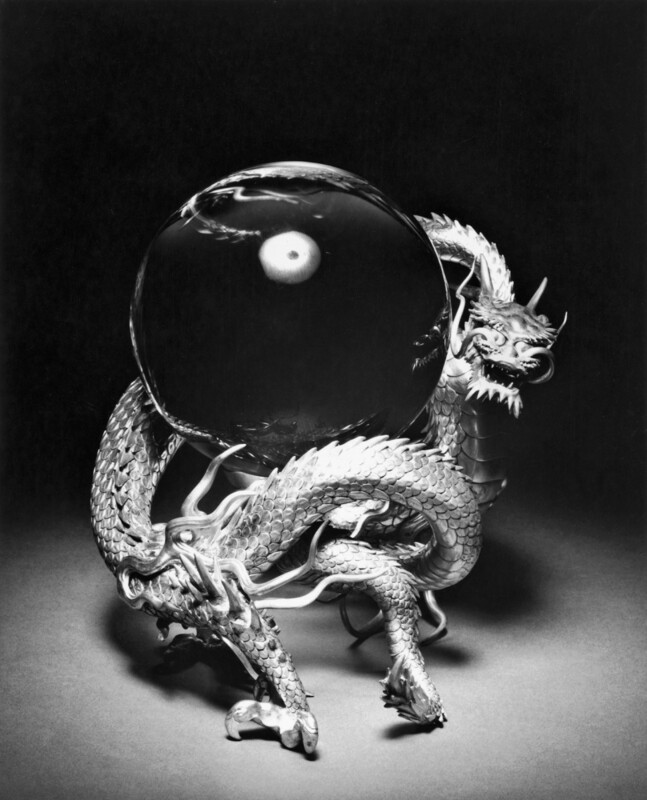 Enjoyed reading this hub on feng shi I am hoping to start my own copywriting business in the near future; maybe I should pick my self up a few feng shi pieces that will help bring prosperity to my future business. Nicely presented. I have tried to read articles on this subject before but they were too complicated for a beginner like me. This has cleared up many of the questions I had, thanks. We need some of these for the office! Christy, this is a fantastic and very useful article. 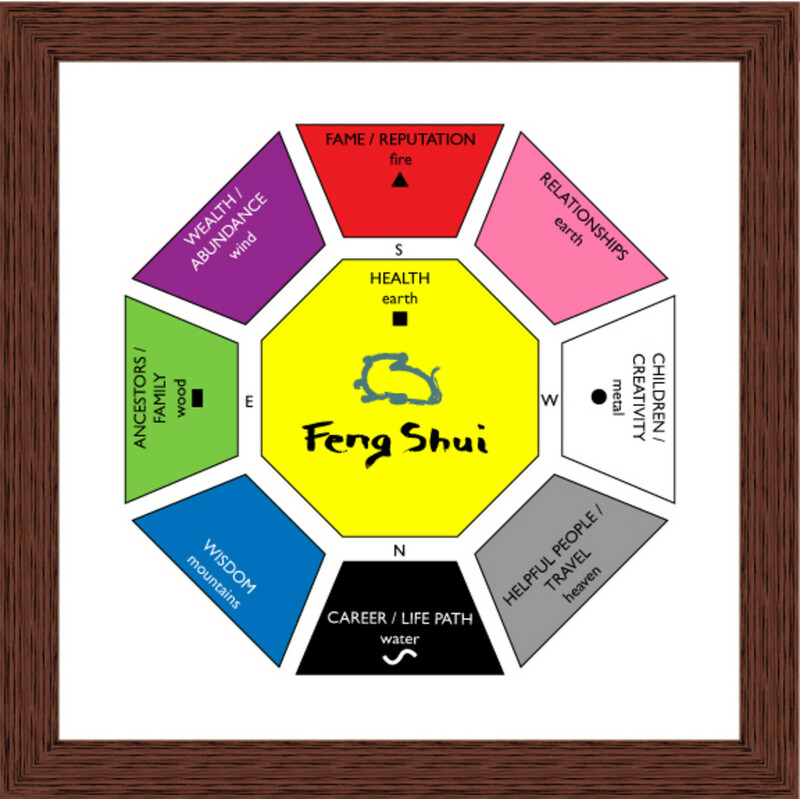 I have been meaning to find out more about Feng Shui -- you have helped me a great deal with your hub. Thank you. I read about Feng Shui a long time ago. Actually, the first article I published on newspaper was about Feng Shui. I find this Chinese technique to balance bad and good energy very interesting, even though I have never tried it. 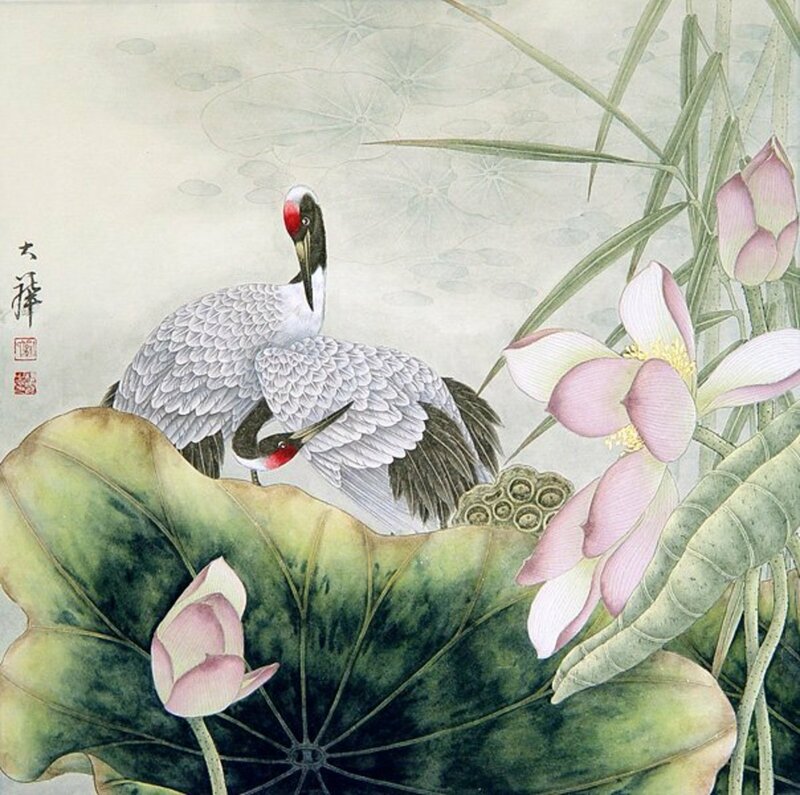 Very nice presentation of feng sui. I knew what it meant but had absolutely no idea as the details. Well researched and written. Great hub. I enjoyed reading it, very informative and clearly detailed. Thank you. Feng Sui is also use in architectural and interior designs of buildings and houses. I'm not much of a believer in Feng Sui lucky objects although I have some "lucky" bamboo stalks (didn't know they are part of the orchid family) and a wind chime. I keep them more for the ambiance they give. This is a great hub. I love that you explained each color and then listed the lucky objects - I learned quite a bit! And the stones section was great too; I was actually looking to get another hematite bracelet as mine fell apart a while ago and the magnets are supposed to improve your health. It's cool to know that they also signify protection! Good article. Nicely put together. I like colours that are vibrant and Feng Shui colours are. I like your chimes. Much peace.